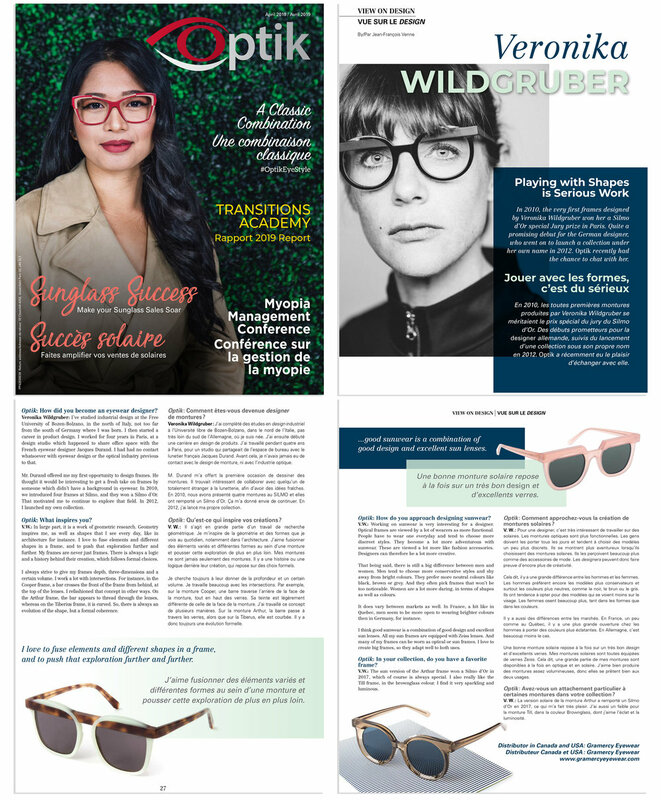 The Kirk frame was chosen for the innovation section of Optician Magazine, January 2019 issue. 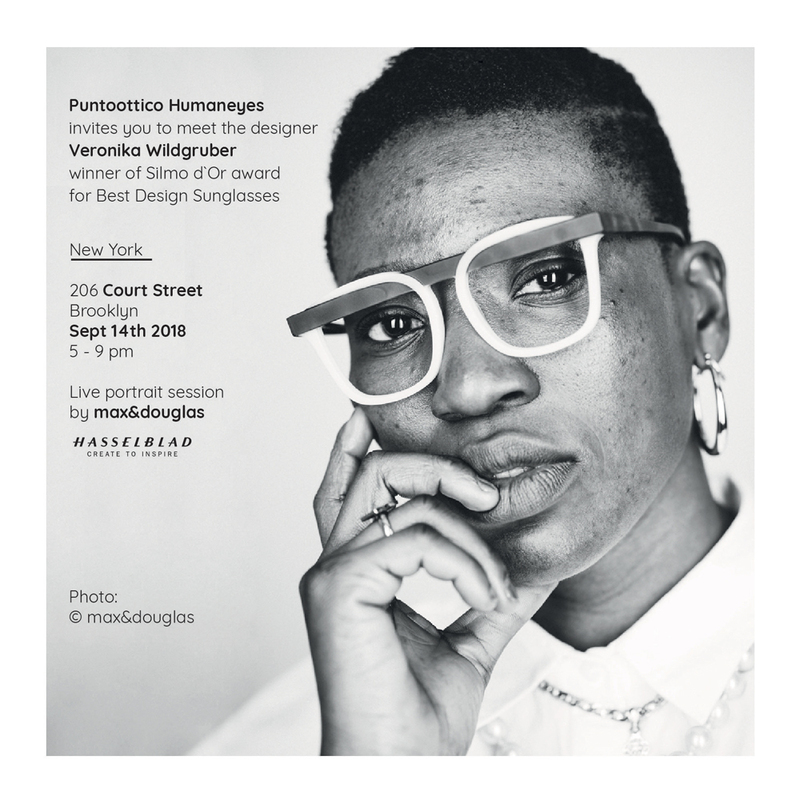 Punto Ottico Humaneyes organised two events with designer Veronika Wildgruber and photographers max&douglas at their stores in New York. 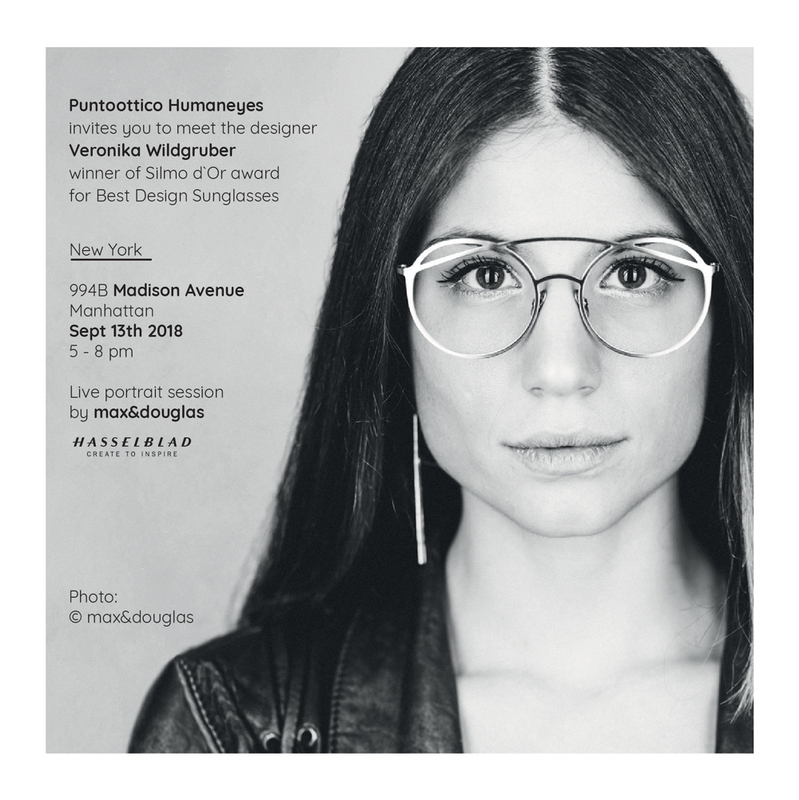 Veronika received the Silmo d'Or 2017 Prize for the beautiful frame Arthur... This is her second Silmo d'Or! 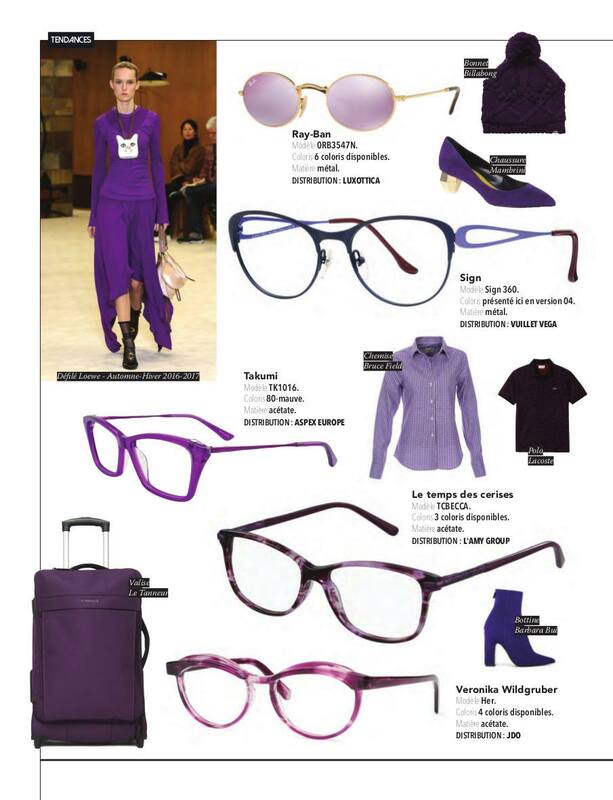 Frame Notorious in aubergine on main ad for MIDO 2018. Special Thanks to LYF Magazine. featuring frame Her in lilac.